The CareLex (Content Archive Resource Exchange Lexicon) content classification model is an open community project to address BioPharma industry content classification and interoperability issues. The CareLex model provides a flexible standards-based approach to content classification for BioPharma organizations. With the CareLex model, organizations can consistently collect, classify, share, search, and exchange health science documents and records. For the Clinical Trials area, CareLex has released a specification and a reference content model for electronic trial master files, or eTMFs. To facilitate interoperability, the CareLex model uses a three layered approach. 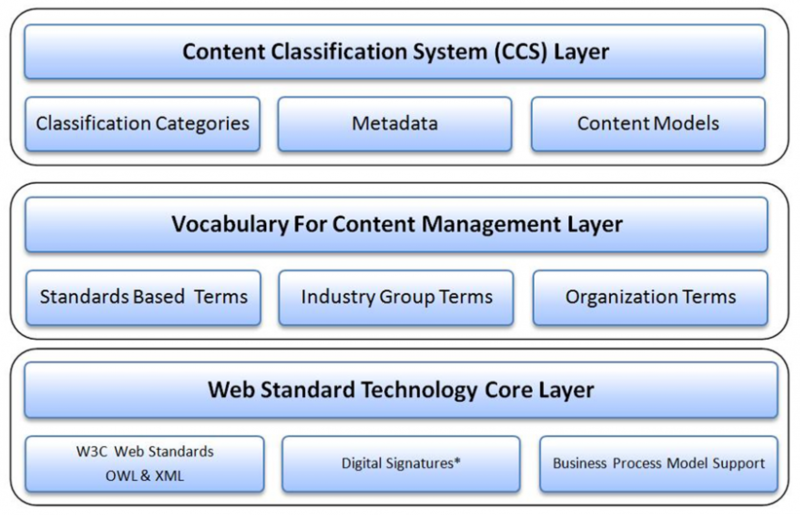 The first layer has a flexible classification system based on standards, while the second layer uses a published vocabulary based primarily on terms from National Cancer Institute (NCI), HL7 and BRIDG. This vocabulary is used to describe classifications and documents. The third layer is a technology layer that uses World Wide Web Consortium (W3C) standards for information discovery and exchange. The result is a machine-readable, operating system and application independent content model that can be seamlessly exchanged with any organization or agency worldwide. CareLex technologies are freely licensed to any organization under the terms of the Apache 2.0 open source license.